The cingulatte sulcus is represented by a red line. sulcus found on the medial wall of the cerebral hemispheres. 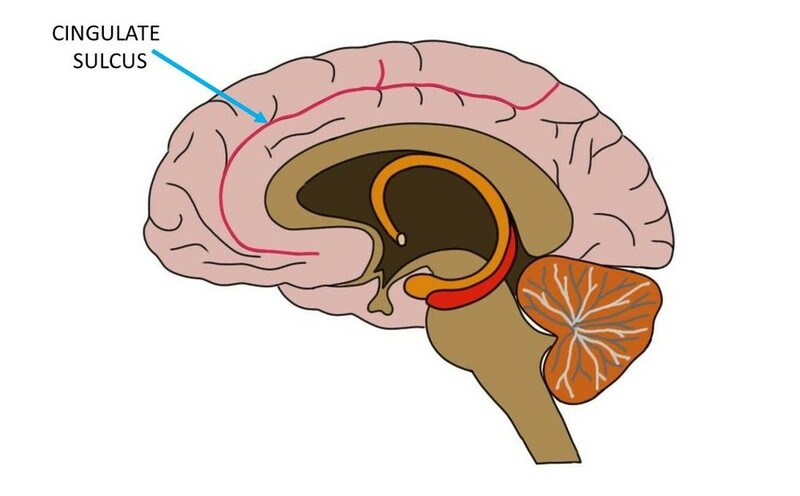 The cingulate sulcus is adjacent to the cingulate gyrus, also known as the cingulate cortex. It separates the cingulate cortex and limbic lobe from the frontal and parietal lobes.